Never again confuse a castrato with a contralto, a prima donna with sopratitoli, or O Sole Mio with an ice cream advert. 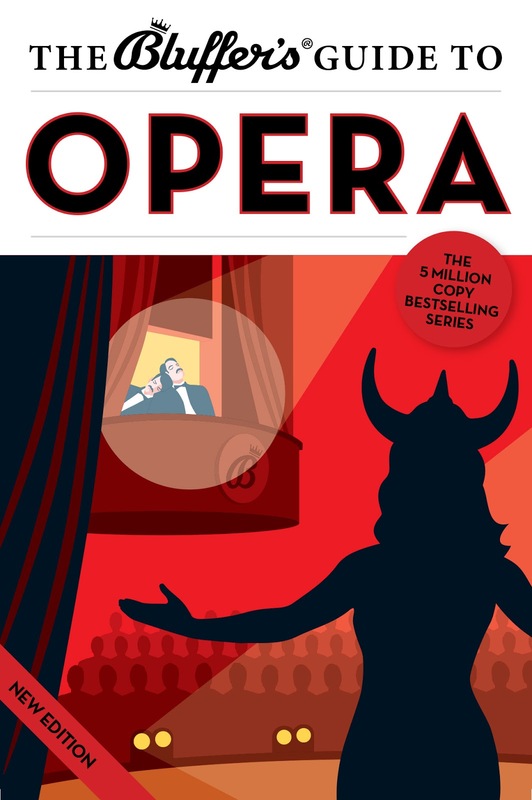 Bask in the admiration of your fellow opera lovers as you pronounce confidently on the merits of Donizetti’s bel canto over Wagner’s leitmotiv, and hold your own against the most sneering of opera buffs. A 5-million-copy bestselling series, The Bluffer’s Guides® have been helping people out of sticky situations for over four decades. Now relaunched, they’re back – and not just in paperback. E-books are available from all major online bookstores. The Bluffer’s Guides’ mission is to eradicate social embarrassment from this world, and (with the help of their witty and erudite experts) they’re well on their way to doing that. Born in Newcastle upon Tyne in 1954, Keith Hann grew up in a household devoted to the music of the two Maxes, Jaffa and Bygraves, but luckily introduced himself to opera shortly before leaving school. Over the last 40 years he has watched the curtain rise on more than 1,000 operatic performances, and waited until it fell on 997 of them. In order to fund this addiction, he has been variously employed as an unsuccessful stockbroker and an incompetent but occasionally entertaining public relations consultant. Decades of skilful bluffing brought him to the brink of retirement without any lasting romantic entanglements, until a momentary lapse of concentration one evening at Covent Garden led to his marriage at the age of 54, and the subsequent arrival of two children. Keith currently devotes most of his time to not writing a novel and staring forlornly at his bank statements. In consequence, he values his now strictly rationed excursions to opera houses more than ever. Review copies available on request. E-book available for Kindle and iPad at Amazon.co.uk and iBookstore. Print edition in stores and at online retailers now (RRP £6.99). Bluffer’s Guide®, Bluffer’s Guides®, Bluffer’s®, and Bluff Your Way® are registered trademarks. Use of these trademarks is forbidden unless prior permission has been obtained from Bluffer’s Media Limited.